Since the movie came out, Frozen-inspired parties have been all the rage. Typically they are focused on Elsa and Anna, but envision the fun, laughter, and silliness of an Olaf-themed party! Our favorite sun-loving snowman offers so many entertaining party ideas. Disney Frozen Olaf Standup Have Olaf greet your guests for a photo op - and send the pictures with your thank-you notes! 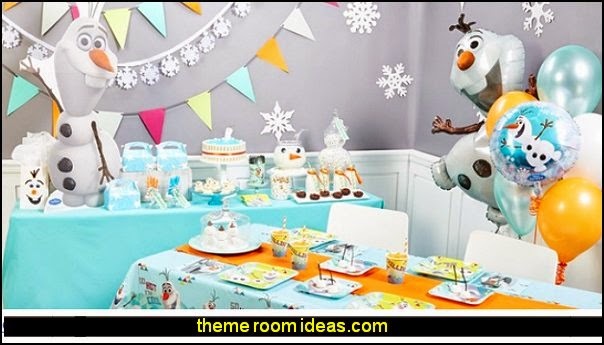 Build an Olaf the Snowman Birthday Party! Our favorite snowman inspires so many fun-filled party ideas, it'll be easy to get caught-up in the festivities. 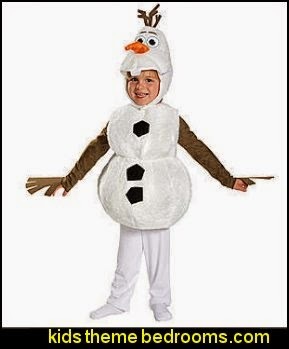 Olaf would encourage you to let it go, make it your own, and snowball the following ideas into your own memorable party. What good is Arendelle without Olaf? “Some people are worth melting for.” Who wouldn’t want a lovely little snowman who roams around in summer with his constant little snow cloud? Every little princess could use a friend like Olaf. Invitations - Send out an invite to guests asking, "Would you like to build a snowman?" 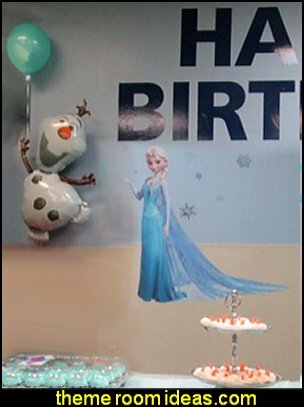 Then, on the inside, it could read, "Then come join the fun with Olaf and friends at _____'s birthday party! And be sure to bring warm hugs!" You could also make each invite in the shape of a snowflake or include a Felt Snowflake Sticker inside the invite. 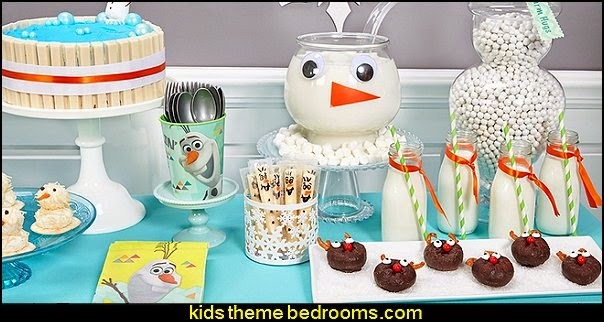 Party Decor - With Olaf, you could throw a party with a winter decor or a summer decor since Olaf loves the sun! 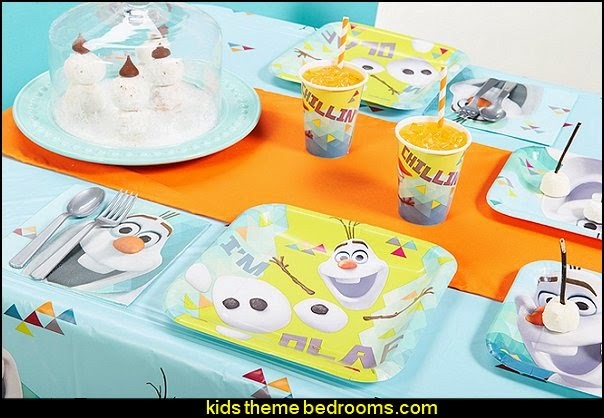 Definitely get the party started off right with the Disney Olaf Value Party Pack as it contains everything one needs for a party, including plates, cups, napkins, utensils - even balloons and thank- you notes! 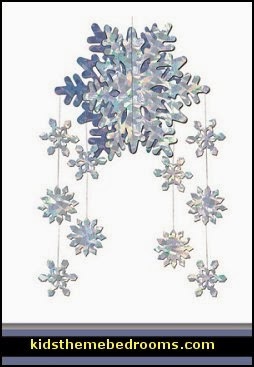 Our Fabric Icicles Decoration is made of soft fabric and is cut to look like hanging icicles. This package contains two pieces that each measure 3 feet 11 inches long. 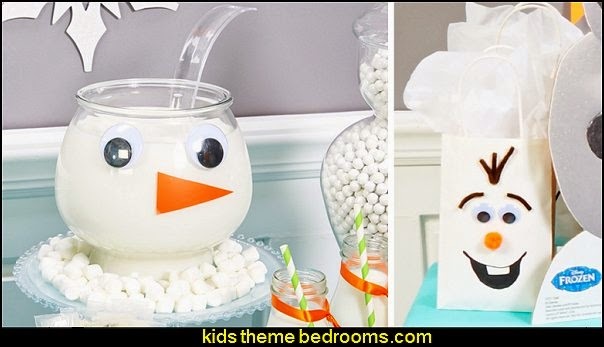 You could create a "pin the nose on Olaf" game, a "build your own snowman" table with rice crispy treats, and elevate the laughter with an Olaf 3D Pull-String Pinata. 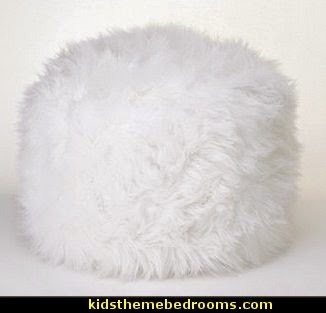 Decor can range from blue and white (e.g. lights, streamers, balloons, and snowflakes) to sun, surf, and sand decorations. 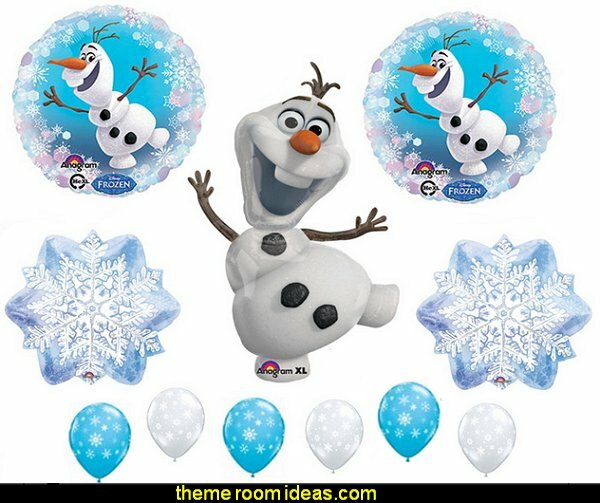 Be sure to add the Olaf Balloon Bouquet - it'll definitely give your party a lift. Food & Drink - Bring together marshmallows, pretzel sticks, black licorice, and baby carrots and you've got yourself edible snowmen (no offense to Olaf, of course). Consider making "melted Olaf's" with greek vanilla yogurt or vanilla pudding cups. You could make blue jello "ice block" jigglers, snowflake cookies, and blue icing-dipped pretzel sticks. For dessert you could have hot chocolate and s'mores, or get an Olaf-themed birthday cake! 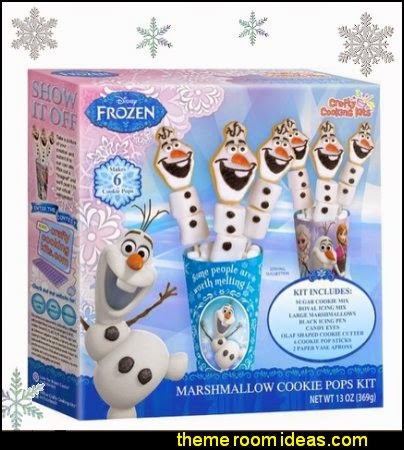 The Frozen Olaf Marshmallow Cookie Pops Kit includes everything you need to make 6 delightful "Frozen" themed party treats. This make it yourself kit contains sugar cookie mix, royal icing mix, marshmallows, orange and black icing, candy eyes, Olaf-shaped cookie cutter, six cookie pop sticks and two paper vase aprons. Directions are included and kids can help with many of the steps. There must have been some magic in that cupcake mold they found, for when they filled it up just right, there was happiness all 'round! they frosted that snowman with their favorite kind of treats, and they all wished then he'd come back again 'cause his visit was so sweet! 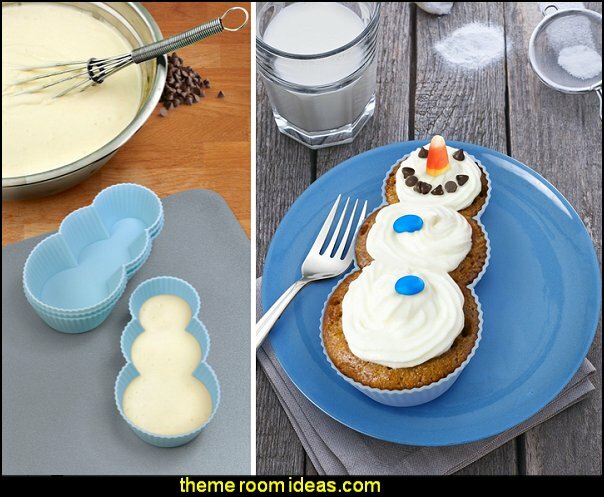 this set of four silicone cupcake molds make perfect snowmen - just add icing and details for a snow-bound treat that will melt the coldest heart. 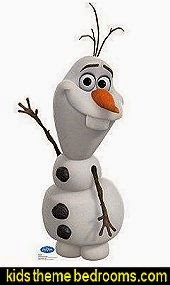 Whatever you include in your party, the one thing that Olaf would insist on is that you make it happy and fun - with lots of warm hugs. 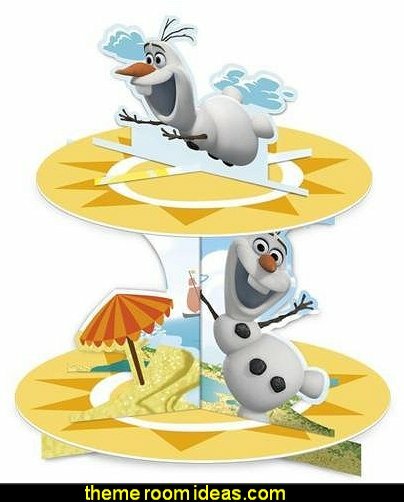 Shop for Disney's Frozen Olaf Party Supplies here! Anna and Elsa are charming young ladies and it’s no wonder that they’re the favorite Disney princesses of many little angels out there. 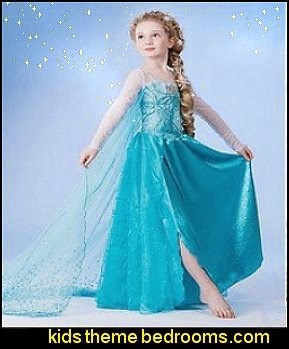 Dress up your little girls in pretty Anna and Elsa costumes - the Frozen way - and give them a full-fledged Disney Frozen themed party - and ..... don't forget the Olaf costume. 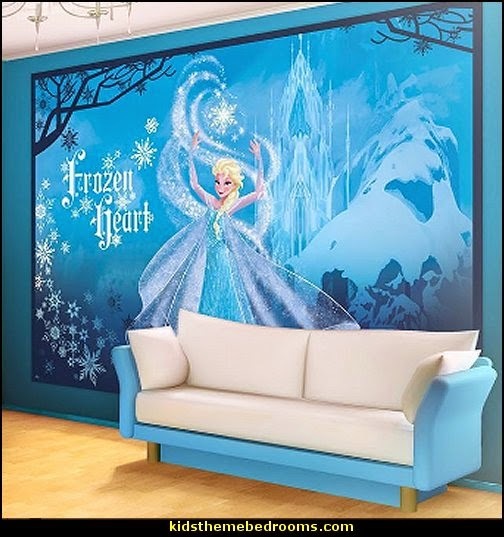 Follow Elsa as her icy powers trap the kingdom of Arendelle in an eternal winter. The Lush decor Venetian comforter features a ruched design in all white with piped edge accents in white at end of comforter. 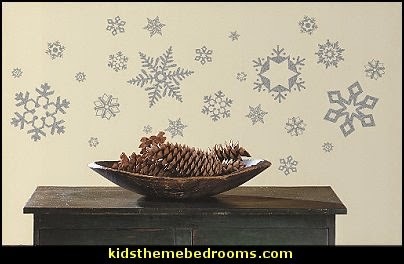 Like a fine lace of snow crystals glittering on a windowpane, so are the panels of our Snowflake Castle Bower. 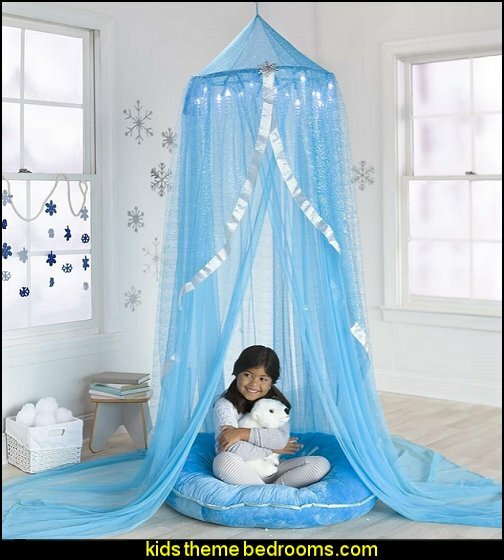 The iridescent glow of the icicle lights within brings magic to any play space. Hang the bower anywhere with our Bower Stand, set it up in a playroom or drape over a bed. A colorful accent for any occasion! 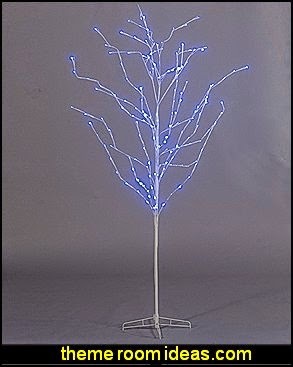 The Blue LED Tree has countless energy efficient blue LED lights attached to its white branches. Each of the blue LED trees measures 7 feet high and is made of metal. Easy assemble. Fashionable chandelier, designed with every princess in mind. 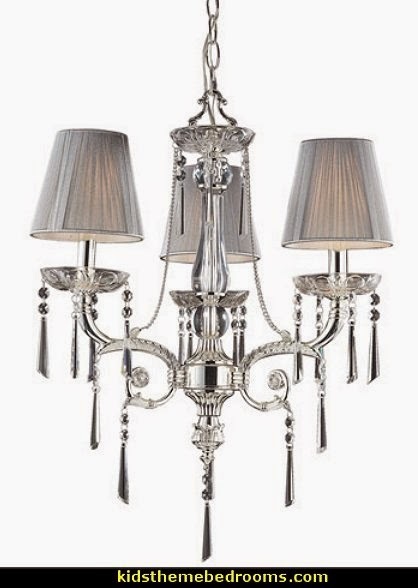 Finished in a polished silver with an iced glass shade atop each of three bulbs, and delicate crystals dangling about, this piece is truly exquisite. Create a beautiful and artistic statement with the Victoria Inspired Ghost Chair. 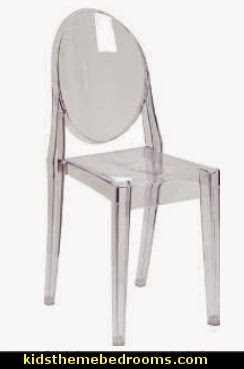 This chair will lighten up any room and provide a grand statement. 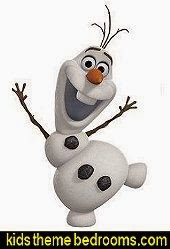 Meet Olaf, the snowman who helps Anna find the Snow Queen in Disney Frozen's eternal winter. 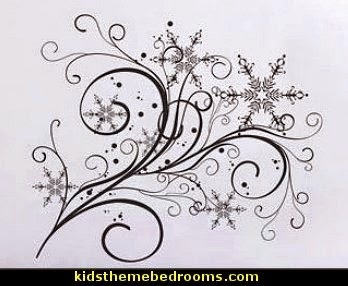 Celebrate winter indoors with these sparkly, glitter-covered snowflake wall decals. 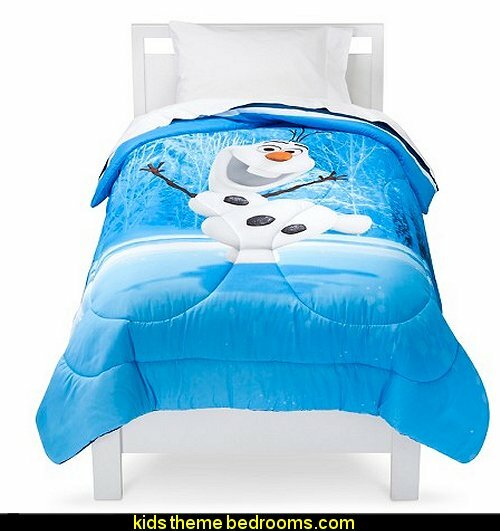 Bright and oh-so adorable, this spectacular Disney Frozen Olaf Comforter is the perfect cozy cover for your little boy or girl. 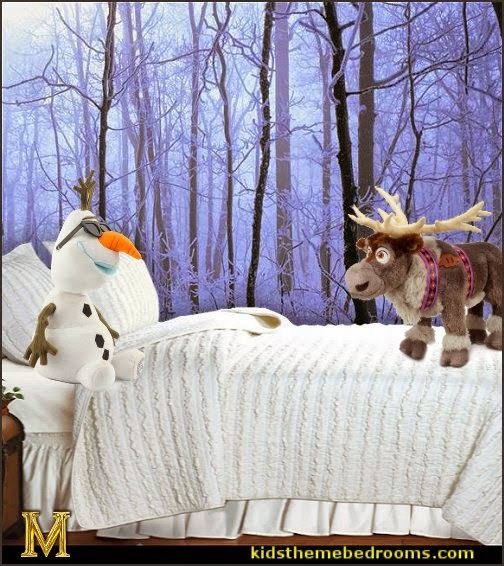 Lined from end to end with an exciting life-size image of the Oscar-winning film's comic side-kick, Olaf the snowman, this bedspread is made of 100% polyester which means it's easy to wash, resilient over time, and great at fighting off nasty stains. That's a winning combo for both parents and kids alike. 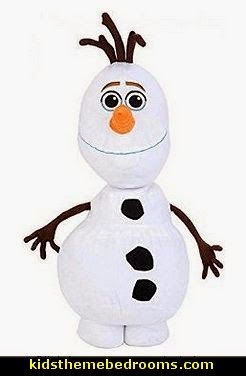 And just to keep things nice and fresh, when the mood strikes, just flip the comforter over for more exciting images of Olaf slipping and sliding across the snow. In a word, this fabulously magical twin bed comforter is hands-down 'awesome!' Let the free-spirited silliness commence. 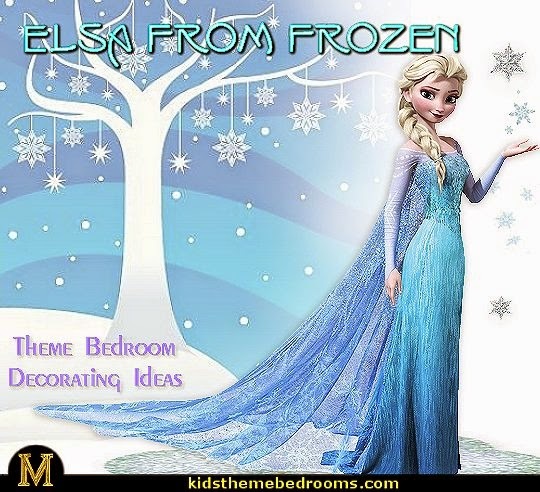 Add a little magic to your child’s bedroom decor with the playful Disney Frozen Olaf EVA Lamp. 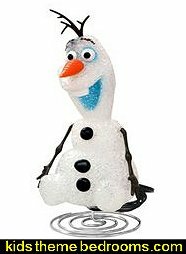 This adorable lamp is shaped like Olaf the snowman and emits a soft glow that’s perfect for use as a nightlight or accent lamp. Formed from EVA, this lively lamp stands on a swirling metal base and includes a lightbulb so you can plug it in and use it immediately. 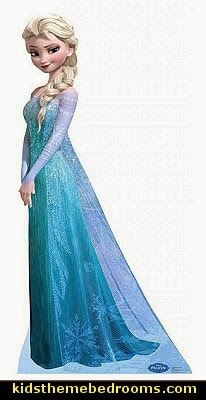 This is a cardboard cutout of the beautiful Snow Queen, Elsa. She's from Disney's popular new movie, Frozen. In the movie, Elsa was born with icy powers that can be used for good or bad. She tried to hide her powers her whole life, and she never learned to control them. 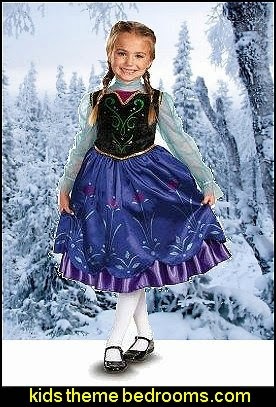 Because of this, her powers put her kingdom of Arendelle in an eternal winter. 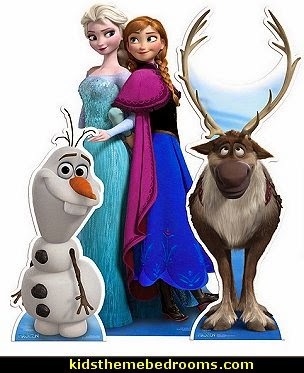 Her sister, Anna, sets off on a journey with her new friend Kristoff and his reindeer, Sven, to find Elsa. The three meet up with the funny and caring snowman, Olaf, and together they try to find the runaway Snow Queen and save the kingdom. Standees are designed self supporting and assembled within seconds. Alternatively it is possible to leave the supports flat and wall mount the standee as you wish. Fearless optimist Anna sets off on an epic journey-teaming up with rugged mountain man Kristoff and his loyal reindeer Sven-to find her sister Elsa, whose icy powers have trapped the kingdom of Arendelle in eternal winter. 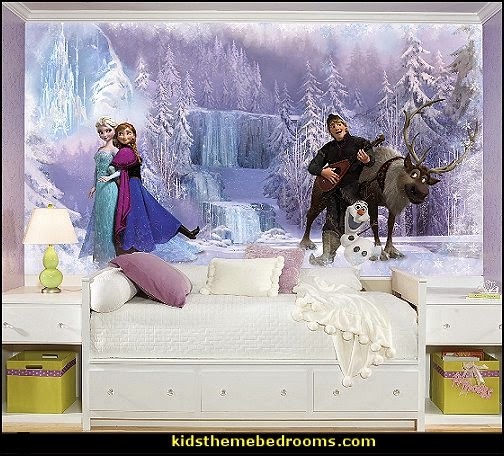 Kristoff is a lovable character and a fun addition to any Frozen party theme. Kristoff is a true outdoors man. He lives high up in the mountains where he harvests ice and sells it to the kingdom of Arendelle. Rough around the edges, Kristoff is the strong, no-nonsense type, who follows his own set of rules. He may seem like a loner, but he always has his best friend by his side. His best friend is a loyal and extremely mangy reindeer named Sven. Disney's "Frozen" is the biggest animated movie of all time! 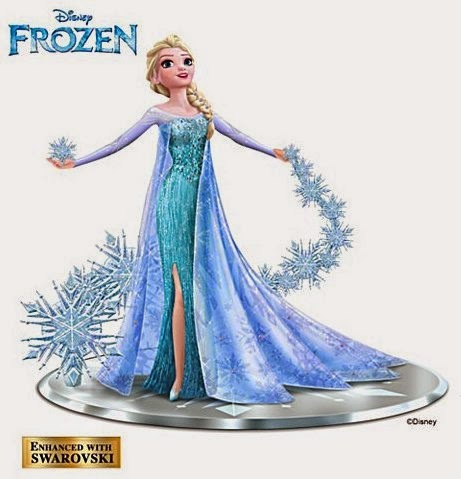 Now, celebrate the enchantment of this Academy Award-winning film with the Disney Let It Go Figurine, licensed by Disney and available from The Hamilton Collection. 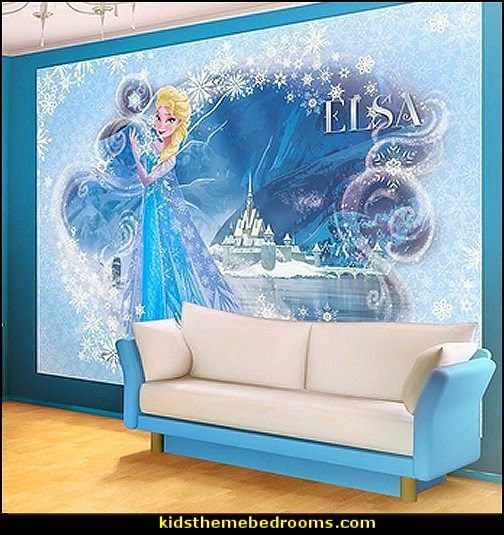 Exquisitely showcasing Elsa, the Snow Queen, in a dramatic pose, further enhanced with the twinkle of freshly fallen snow, capturing the excitement of the movie and recalling the story of "Frozen" in glittering style! Inspired by original Disney artwork, this fully hand-sculpted and hand-painted Elsa Let It Go figurine is masterfully handcrafted by Master Craftsmen and adorned with a flurry of sparkling accents, from her shimmering crystalline snowflakes to her 18 crystal-clear Swarovski® crystals and hand-applied silvery glitter. 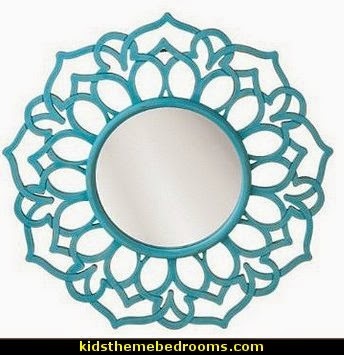 Plus, an elegant mirror base makes Elsa dazzle even brighter. 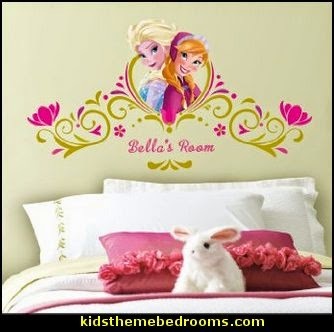 Bring the unconditional love of Elsa and Anna to the walls of your little girl's room with these Frozen Springtime Custom Headboard Wall Decals. 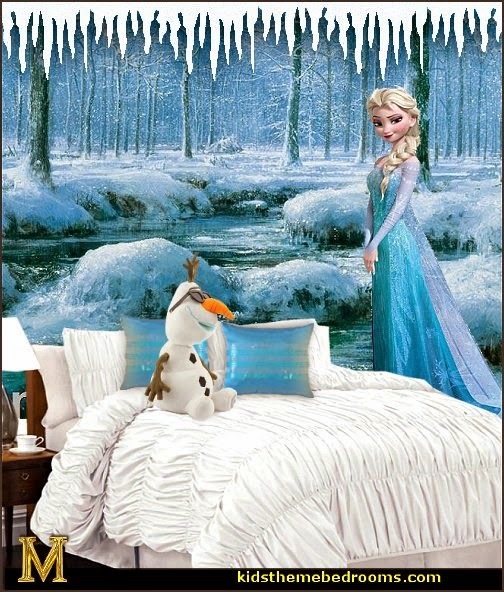 This Frozen custom headboard is fast and easy to apply. 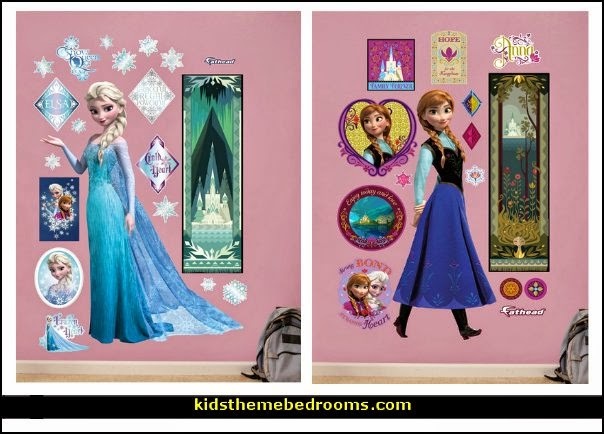 Remove the wall stickers from the backing and apply to the surface. Personalize it! Add your little girl's name to make it her very own! 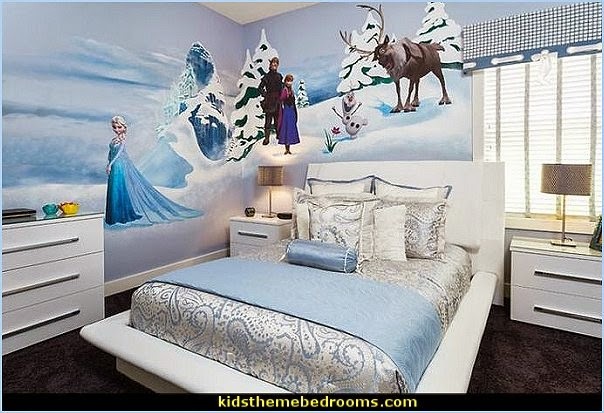 This is a great decorating theme for shared bedrooms ..... one half of the room can be designed as the outdoor snowy theme and the other half of the room designed as the inside of a castle. 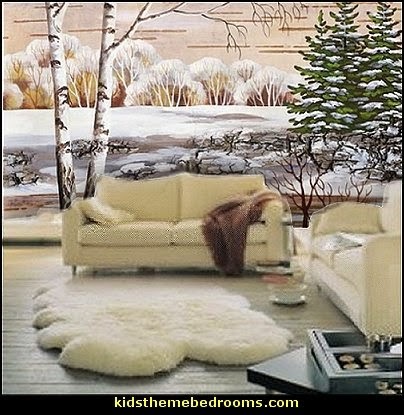 Make your own winter wonderland! 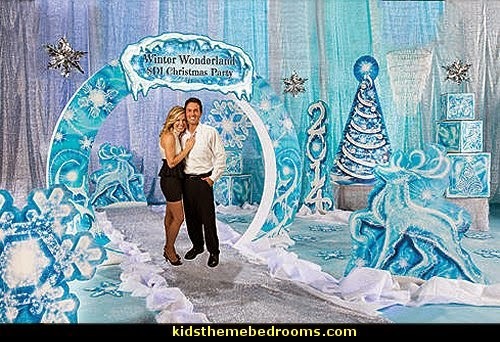 The Ice Castle lets you create the perfect winter wonderland with this 9 feet high x 7 feet wide printed cardboard castle. 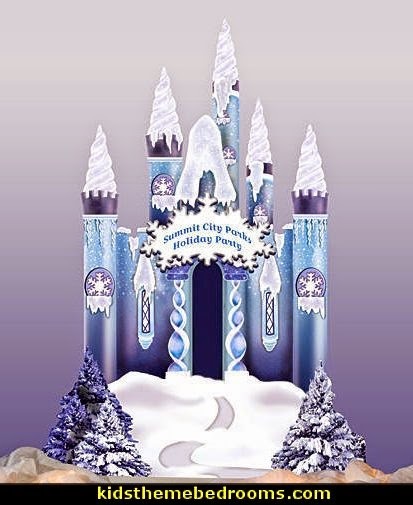 The one sided Ice Castle is accented with iridescent snow and is personalized with your own special message! 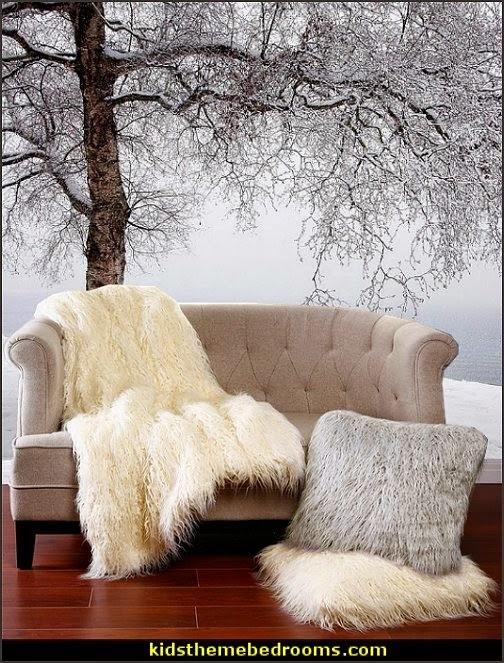 The castle is perfect for snowy winter setting or photo settings. Easy assembly.